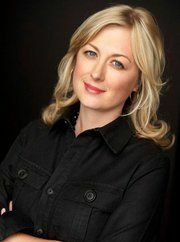 Claire Hoffman is a an author and journalist with work published in Rolling Stone, The New York Times and GQ. Her book, Greetings From Utopia Park is an autobiographical account of growing up in in the heart of the Transcendental Meditation movement in Fairfield Iowa. These mind melds are brought to you by YOU! 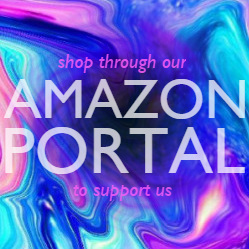 Find out how to support us and receive rewards in the process at our Patreon page. For most Earthlings, the topic of “childhood in America” does not evoke images of a utopian community filled with guru devotees that meditate all day in hopes of eventually existing in a state of boundless cosmic consciousness (though that does sound a lot more exciting than my chicken nugget and BPA-filled upbringing). As unconventional as it is, that was everyday life for our guest on this show, Claire Hoffman, who spent a good portion of her childhood living on the grounds of the Transcendental Meditation movement’s compound in Fairfield Iowa. What I enjoy about both Claire’s book and this conversation is that no clear answers are offered here. This isn’t a whistleblowing hatchet-piece. This is a nuanced, honest onion comprised of layers of gray area. Not only is that a more accurate portrayal of everything in life, it shines a light on the fact that Claire isn’t out to make a quick buck as a whistleblower. She’s telling her story and sharing the insight she’s gathered throughout her fascinating hike up life’s existential incline. Is it dangerous to believe too much in something? Can a bunch of people get together and change the world with their consciousness?